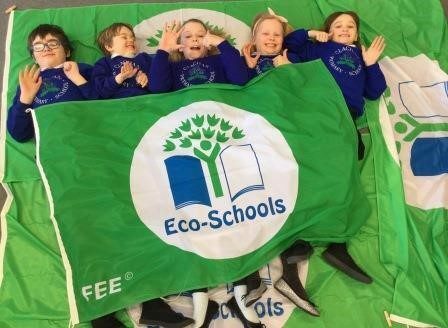 Drumlemble Primary School has successfully renewed their Eco-Schools Green Flag Award Status. 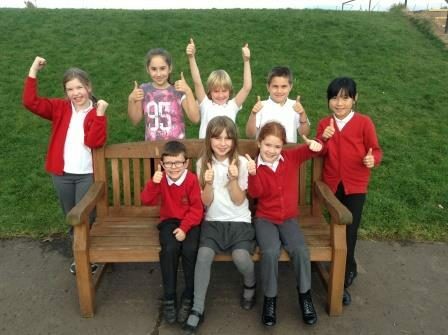 Easdale Primary School pupils picked as winners of Keep Scotland Beautiful competition. 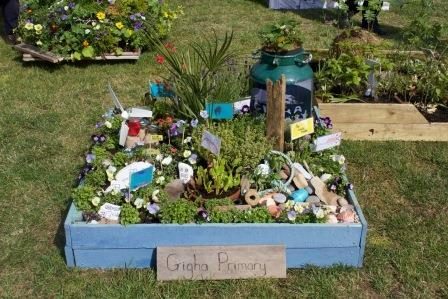 Environmental charity, Keep Scotland Beautiful, has announced that pupils from Easdale Primary School have been selected as winners of the nationwide competition to Design a One Planet Picnic Pocket Garden – which will see them now bring their creations to life for display at the Gardening Scotland exhibition in Edinburgh this June. 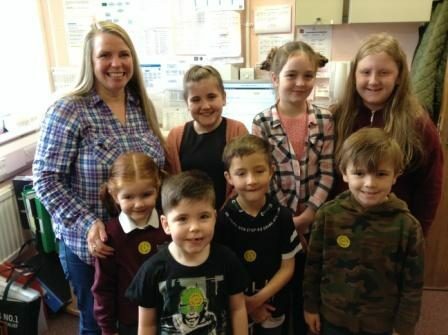 Recycle, Reuse and Reduce was very definitely the message that the children got from a great session delivered at Minard Primary school by Andra McShannon. Andra talked about pollution and the ways we can contribute to a greener planet. The emphasis was on the sea and coast and the Minard and Furnace Pupils made marine animals from the recyclable materials they had bought in from home. 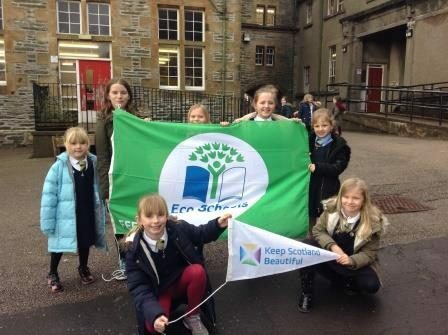 Dalintober Primary School are delighted to have been awarded a fourth Green Flag from Keep Scotland Beautiful as part of the Eco School programme of study. 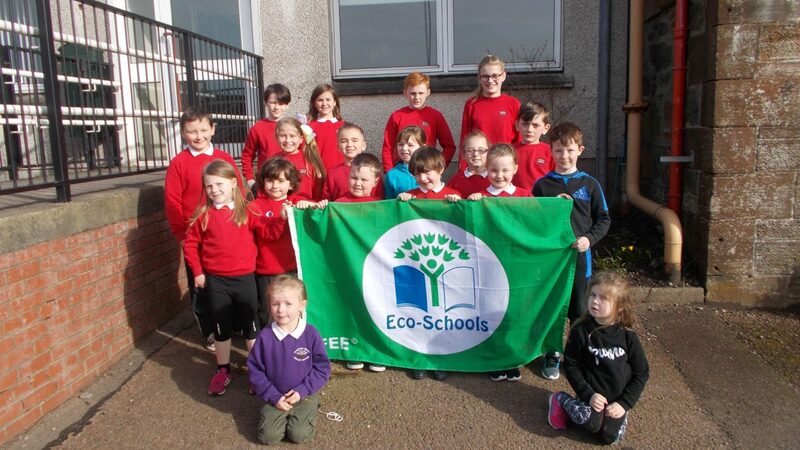 Our photograph shows the Eco Committee displaying the Green Flag in our school grounds. 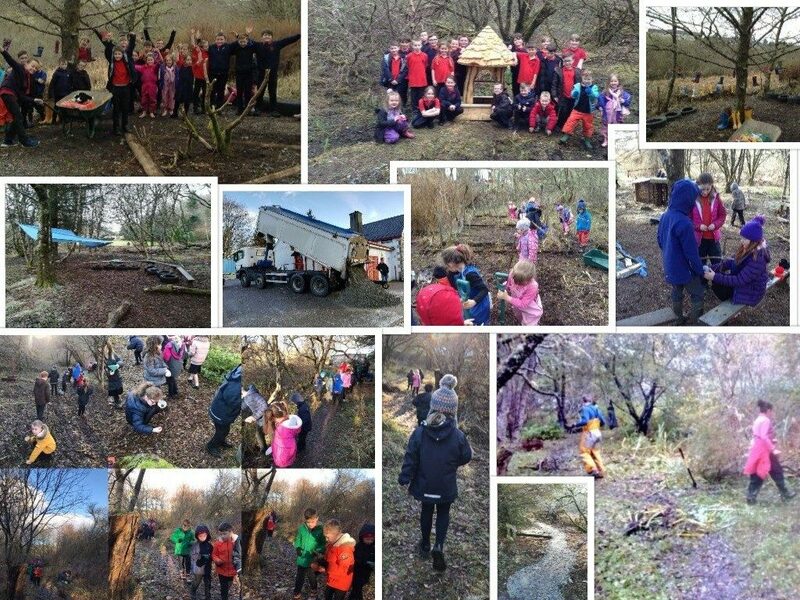 Our next steps include creating a new Action Plan, organising a Green Day and investigating new ways to explore the Eco principles within our curriculum. Third Green Flag for Dunoon Primary! 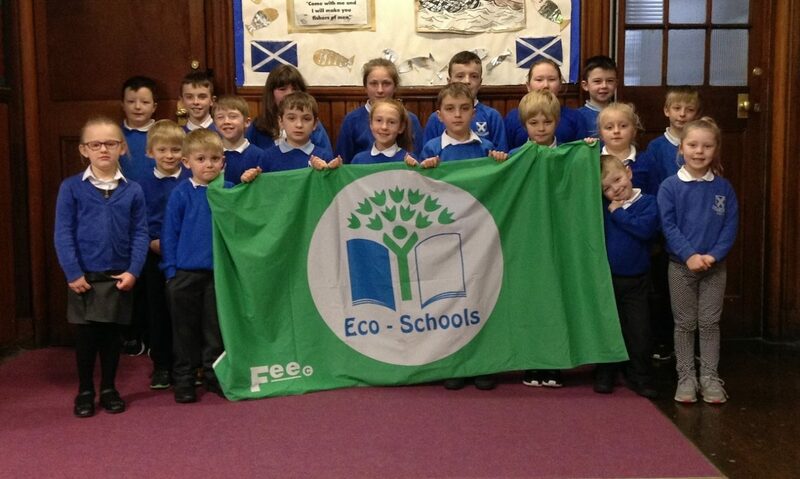 Dunoon Primary had been awarded it’s third Green Flag. Below is an extract from the letter Dunoon Primary received by Mrs Senga Wakefield, who is the leader of our Eco Committee from Eco-Schools Scotland/Keeping Scotland Beautiful. 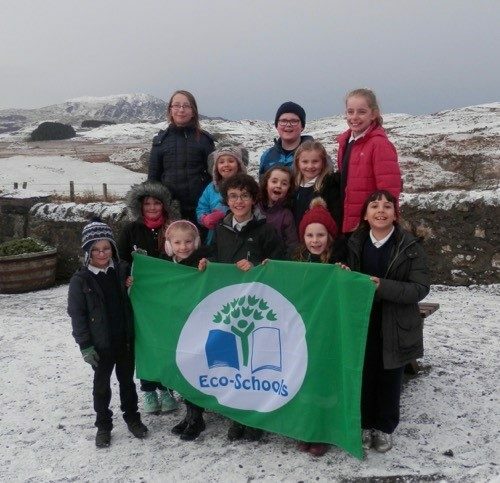 Inveraray Primary School was the first school in Argyll and Bute to gain Green Flag status as an Eco School back in 2003. We are pleased to share the good news that we have once again retained our Green Flag status through our Crofting and Kenyan Connections work which includes the whole school and the nursery. 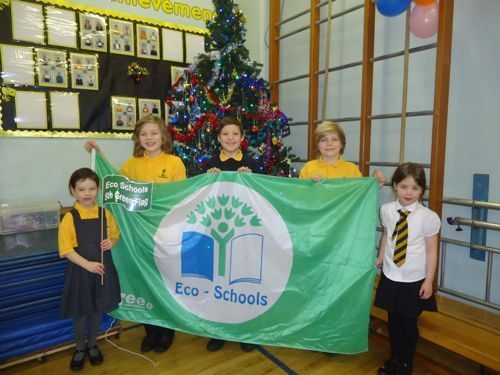 Rhu Primary School remain ‘Evergreen’, as we celebrate our 5th Green Flag. Christmas came early as the pupils received the joyous news. We were congratulated on our achievements in the topics of Biodiversity and Food in the Environment. We were also commended on our on-going beach cleans, which we have extended to the play park and Ardenconnel Woods. Eco Scotland were particularly impressed by our work on anti-dog fouling which was greatly appreciated by our local residents. The pupils are busily making plans to celebrate this great achievement in the New Year and we look forward to sharing this soon. 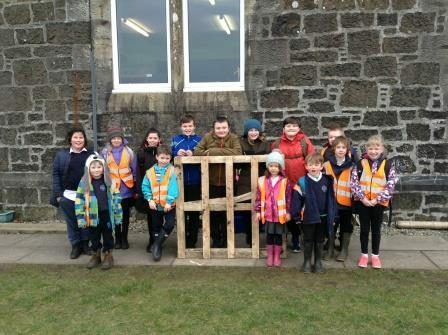 The pupils at Rothesay Primary have been recycling cardboard, plastic bottles and packaging from their snacks, to help gain points for their school Houses. The eco committee monitor the collections and weigh these on a Friday before the points are collated. However, if there is something in a bin that cannot be recycled (the eco committee have a do’s and don’t poster beside the bins) then that House is disqualified!! Recycling has never been such fun! 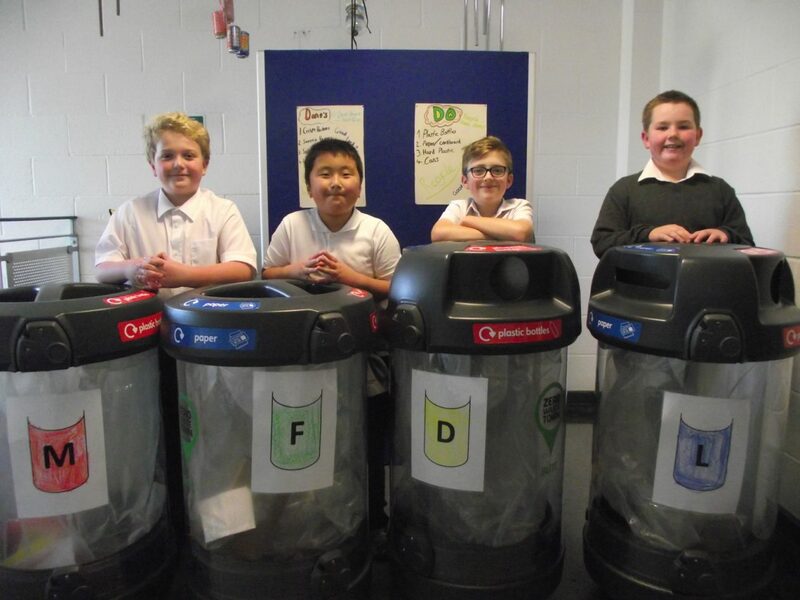 This month Minard Primary fought off stiff competition from across Scotland to win a national competition for its innovative ways of making waste go for further. Instead of using traditional recycling methods for disposing of waste paper, pupils at Minard Primary School have been turning it into recycled paper briquettes which can then be used in the community as fuel. 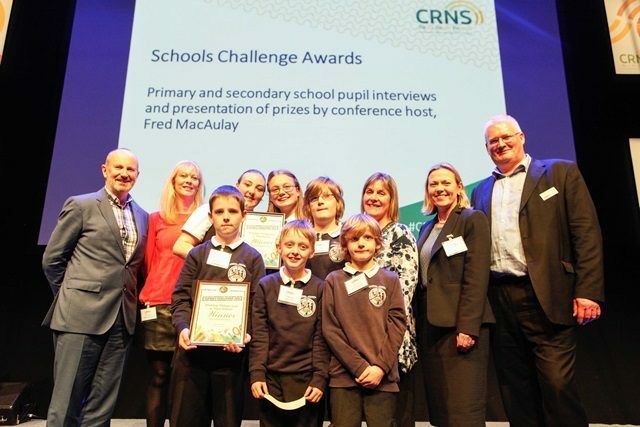 As a result of this ingenious idea, Minard Primary was crowned the winner of the Community Resources Network Scotland (CRNS) School Challenge Competition. Another Green Flag at Colgrain! Colgrain Primary School are very pleased to announce that they have been awarded their fourth Green Flag. A fantastic amount of effort was put in by all pupils and staff and we look forward to celebrating. More photographs will follow when we receive our brand new flag! 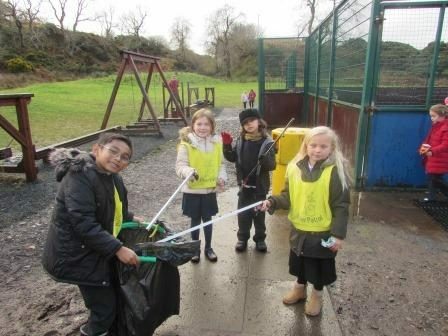 Despite the wind and rain on Tuesday the Eco-committee managed to start a very important task. 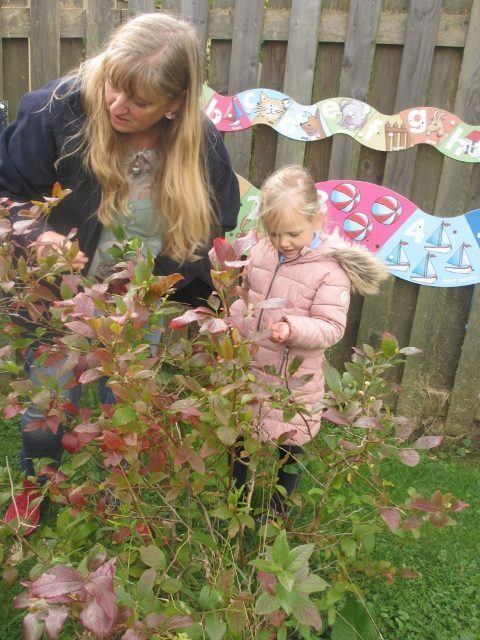 Many of the shrubs need pruned so the pupils took the opportunity to take soft wood cuttings and pot them up. If they root successfully the shrubs will eventually be planted out in the school grounds and at the school’s planned pond area. The photos show our blueberry and raspberry cuttings.